Spacious home in good condition on the interior. Needs exterior painting. Can be used as a single family home or in the current configuration it is a duplex with a kitchen and bath in each unit. 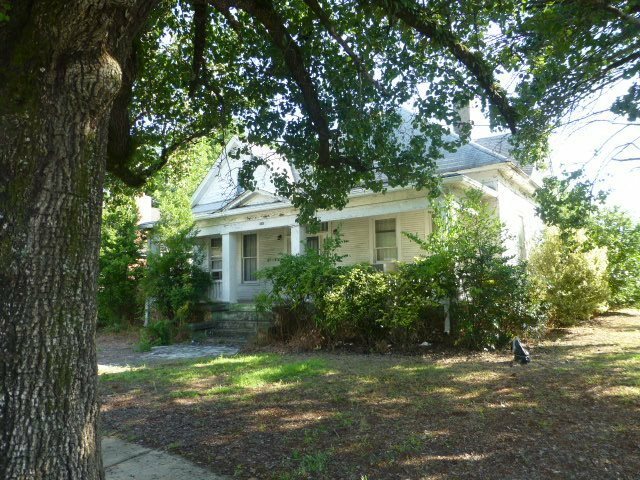 Walking distance to Baptist hospital and only 2 miles to downtown! Great return on investment if rented as two units. There are two claw foot tubs in excellent condition that are valued at $1200 to $1500 each at antique stores. According to seller this property has been in the same family ever since it was built in the 1880&apos;s. Courthouse records indicate it was built in 1930 but that appears to be incorrect. Selling As Is/Where Is. Cash only sale. Elderly owner motivated to sell!